April is National Grilled Cheese Month , and in honor of this quintessential comfort food, we’re highlighting Tin Hut BBQ’s savory take on the classic sandwich. People often ask Tin Hut BBQ founder/owner Frank Diaz how he makes his popular grilled cheese concoction, and he is only too happy to share his technique. 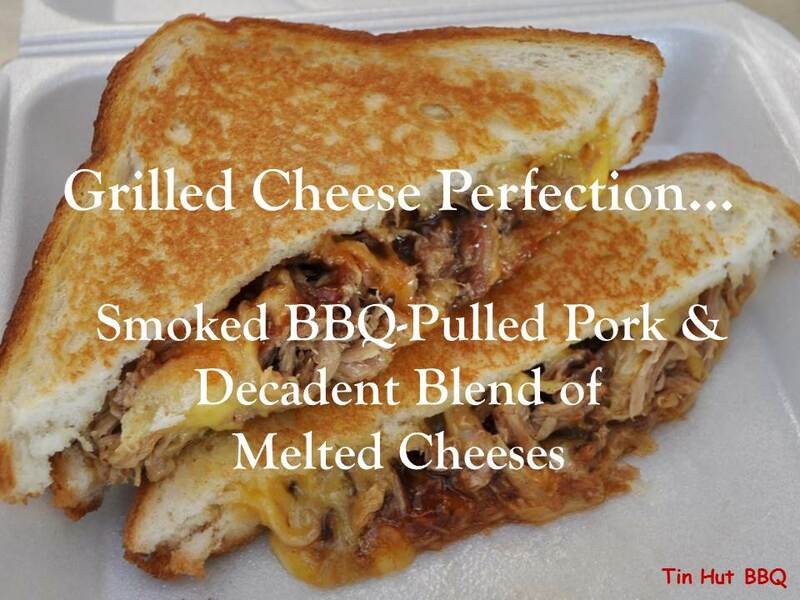 “I tried the “Pulled Pork Grilled Cheese” I LOVED THAT THING!! Once melted, cut in half and enjoy! Tin Hut BBQ, A Disabled American Veteran Owned & Family Operated Food Truck Business, Uses A Complete & Portable Commercial Kitchen & Smoker To Serve Some Of The Best Smoked BBQ In Hawaii To Our Military, Local Communities, Businesses, Organizations, & at many Special Events. Ask about our Catering Services! This entry was posted in Recipes and Tips, Useful Links and tagged Grilled Cheese, recipes.